Use corporate gifts to solidify the relationship you have with your existing clients and reconnect with long lost customers. “Corporate gifts”, given at an appropriate time, may also serve to demonstrate your appreciation to the people who chose to do business with you. In any industry, there’s bound to price based competition. But since you can only discount your products so far, you’ll have to resort to other ways to show your appreciation to customers who remain loyal to your business. Giving corporate gifts such as gift boxes or hampers, designed with your message in mind, is just one way to reward your customers. Sometimes the lines between gift giving and brides can become blurred, and your generosity can leave your business vulnerable to accusations of being unethical. This is why it is necessary to follow a few basic rules in your gift giving. Even more crucial, you must keep in mind that your gifts represent your business, so they must be of the highest quality. Here are some basic rules for corporate gift giving. Cheap and low quality gifts could tarnish the image you’ve worked so hard to build. If you’re investing in gifts to send to your customers, make sure that they’re made of the finest materials. Pens should be quality pens that work, mugs should be made from the finest quality materials, and gift baskets should be assembled using the best quality products. While you might be tempted to give your corporate clients business gear with your name engraved on the packaging, a self-indulgent gift makes a bigger impression on the client’s mind. 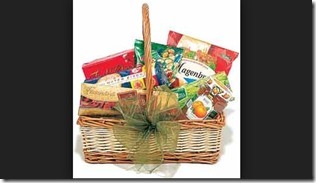 Gourmet, bath and body, or wine gift baskets are most appropriate for momentous occasions. Consider the appropriateness of the gift for the recipient. Corporate gift giving policies and cultural barriers will influence your decision, but you should also know something about the person you’re giving the gift to. For instance, an alcohol wine basket may not be appropriate for a non-drinker. So make a few observations and ask questions –maybe with check the client’s secretary- before you purchase the gift. The courtesy of hand written messages seems to be a long forgotten art. Write a pleasant note to your client to identify yourself as the sender, and don’t make the mistake of signing the gift with the Happy Holidays greeting. A hand written note thanking the client for their business and explaining why you chose to send the gift will remove any doubt and opportunities for baseless accusations. More than that, a handwritten note, because it’s so rare, will leave a positive impact on your client’s mind. You don’t have to wait for a special time of the year to show your appreciation to your corporate clients and customers. In fact, giving a gift outside of special occasions generally has a bigger impact than those holiday gifts your clients will receive gifts from everyone else. William Dawson is a former corporate officer and grandfather of seven. Now retired, he spends his days boating, but when the weather won’t permit that, he likes to share what he has learned on various Internet blog sites. He recommends corporate gifts for your loved ones.